“Practically the Rules are already in abeyance for the time being, as the deliberations before the (five-judge) Committee are in progress,” the Bench comprising Chief Justice S.K. Kaul and Justice R. Mahadevan observed. The Court was hearing a PIL filed by an advocate demanding installation of CCTV cameras in all Courts in Tamil Nadu and Puducherry. Through a press release, this resolution was clarified to mean that no action would be initiated under the Rules, till the deliberations are concluded by the committee. “Thus in view of the aforesaid, practically the Rules are already in abeyance for the time being, as the deliberations before the Committee are in progress,” the Court therefore observed. The Court took into consideration the decision taken by the High Court in favor of installation of CCTV Cameras, and directed the Advocate General to obtain instructions regarding urgent implementation of funds for installing CCTVs in all District Courts in the State. The PIL has now been posted to August 3 for further hearing. Several District and Subordinate Courts have been witnessing boycotts and strikes against the Madras High Court’s new sets of disciplinary rules for the Advocates The new rules enable the Court to debar lawyers who indulge in objectionable behavior. In a notification published on 20th May 2016, new Rules 14A, 14B, 14C and 14D have been added to the existing Rules under Advocates Act. The order was issued a day after protesting lawyers laid siege to the Madras High Court on Monday, protesting the recently amended rules to Advocates Act. The Chief Justice of Madras High Court had then assured BCTP that no action would be taken against advocates in furtherance of the Advocates Act, till a decision is taken on the recommendations put forth by the Bar Associations. You may read the LiveLaw article here. 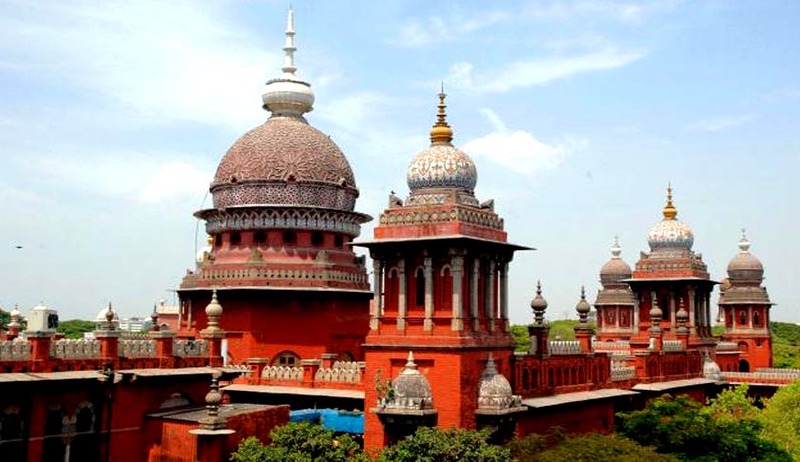 Soon after, a full Court meeting of the High Court of Madras held on July 21 had resolved to receive representations regarding the new Rules from recognized Bar Associations, either directly or through the Registrar General of Madras High Court or through the principal District Judge concerned. The BCI had however issued a warning to the leaders and office bearers of more than 250 lawyers’ associations in Tamil Nadu, that they would be suspended and debarred from contesting in Bar elections if they fail to call off the strike by July 22. This warning was given effect to by suspending 126 lawyers of Tamil Nadu, including 21 Bar leaders. You may read the LiveLaw article here.